WE WILL SWIFTLY AND ETHICALLY GUIDE AND ASSIST OUR CLIENTS THROUGH THE INSURANCE CLAIM PROCESS IN ORDER TO RECOVER THE MAXIMUM MONETARY COMPENSATION TO WHICH THE INSURED IS ENTITLED UNDER THE POLICY. Our mission statement serves as our promise to our clients. Each of our adjusters has been hand-selected based on their experience, character and capacity to be the best in the industry. Over the years, SunStar has built a strong network among some of the community's most recognized industry professionals, guaranteeing the most accurate claims values. We invite you to learn more about our team and to call us in your time of need to schedule your free inspection and consultation with one of the most reliable experts in the industry today. We'll perform an initial inspection at the site of the loss immediately upon being notified. We'll complete a thorough review of your insurance policy to ensure compliance with all policy terms and conditions in order to maximize your settlement. 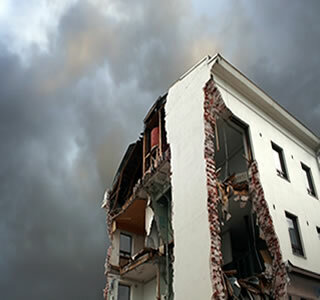 Assist in the preparation of inventories for your damaged property and belongings. Properly quantify and value your damage by utilizing recognized industry specialists. Prepare our own accurate estimate for your loss. Establish a professional line of communication with your insurance company. Opens new Central Florida offices. To better improve our services and commitment to our clients in the state of Florida, SunStar Claims has expanded into Tampa and Orlando. To find out how you can contact these locations or to learn more about our team, please call our corporate office at 786-229-2210. Myth #1: My insurance company will drop me if I file a claim.